Home/Blog/ Video Production/Are you Scared of Hiring an Explainer Video Company That Works Abroad? Are you Scared of Hiring an Explainer Video Company That Works Abroad? You did it. After following all the advice you could get your hands on to find the perfect explainer video company, you found the one that impressed you the most. They have the experience, the professional team, the perfect portfolio. But as you are getting ready to hire them you discover something that bugs you – the company isn’t from the US! You burst into panic mode. How can you work with a company that works abroad? There could be trouble understanding each other. There might be time differences that could wreak havoc on how you like to work. Heck, there may even be cultural differences that might seep into the work. Can you afford all that? I can see this scenario playing in your head. However, you shouldn’t worry. Although all of those concerns are genuine and seem very likely, they don’t have to be real for you. You just have to pick the right explainer video company and you’ll see that it won’t matter if they are based outside the US. Here’s why. People accustomed to in-house teams find some reassurance in the proximity of the professionals they work with. They can see what they are doing, they can meet at convenient times, and can even consult with them whenever they feel like it. I won’t argue that all of these factors come in handy when it comes to creating a company video. How can a remote team beat that? A professional video company can work remotely with you and make you feel like you’re involved in every step of the way (download our step-by-step Explainer Video Production Process to see how that’s possible!). Do you want to meet to discuss the details of your project? Just fire up your webcam and talk away! Forgot to clarify an important aspect of your brand? Send a short email to the team and you are all set. Have a doubt you need to cover ASAP? That’s why chat tools were invented. If you stop to think about it for a second, you’ll see that even US-based companies use all of the above. Unless you hire a company that works in the same building as you, then chances are you’ll meet online for every step of your project. That’s the modern standard! So, that’s not much of a difference between a company from New York and one from Buenos Aires. Now, of course there’s the time difference issue. It’s obvious that you can’t work with an Australian or an Asian company, as they’ll be working while you sleep and vice versa. But you can surely find some of the best explainer video companies in the world in a time zone that you can work with. Take Latin America as the perfect example. Its countries have the same time zone (or very close ones) to the ones in the United States. Working with professionals from there won’t hurt your schedule and you might even get some extra perks by doing that. Basically, a remote team doesn’t mean you’ll have to sacrifice much of your working routine. Thanks to the many, many Internet tools we can use to communicate, share and collaborate online, a company working abroad can assist you with everything you need as if it was established across the street. Ok, timing and communication may not suffer that much (or at all) when working with a video explainer company but surely the quality isn’t the same, right? Wrong. If you do your homework and find a reputable and experienced video company, then the results will be the same as you’d get if you worked with a US-based company. How’s that possible? Thanks to the talent used to create the video. 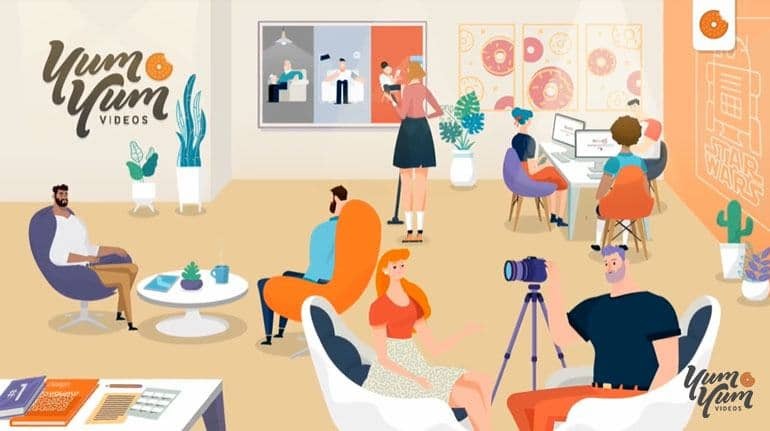 The best explainer video companies in the United States and around the world work with a team of experts in all of the project’s stages. So, while the scripting and the narrating phases are done by American professionals, the production stage is outsourced – even to other countries! The main reason for doing that is to reduce costs but also because there are countless professionals that provide excellent results on time. Working with script writers and narrators from the States guarantees that the tone, the pronunciation and the language used in the company’s video are perfect for the target audience. In the meantime, the more technical aspects of the production can be done at a reduced cost in any country (thanks, again, to the wonders of online collaboration). Hey, don’t believe me about the quality work the companies from outside the US can give you? Then take us for example. We’ve worked with dozens of companies from the United States and surpassed all of their expectations. Check out one of our videos below to see what a non-American video company can give you. The communication tools are there, the timing is not a problem and the talent is exactly what you need for your brand. But you might be still worried about misunderstandings, especially because some of the foreign companies don’t use English as their official language (nice to see you’re so detailed in your company assessments). Again, this won’t be a problem if you work with the right people. The whole video production industry has been evolving for the last couple of years. Most premium companies understand that the current context calls for excellence in all aspects. The competition isn’t just limited to the companies in the same city – now anyone can have customers from all over the world! So, to grow, video companies have to keep that global audience in mind. And given that English has become the official language of the whole Internet, the best companies started hiring and training employees with a high English proficiency. You can quickly check that out with the explainer video company you’ve just found. Ask for an introductory meeting with the excuse to discuss the project. There, you’ll have the possibility to check their English level, their communication skills and their professionalism. It’s important to remember what you need from the production team – to get your point across, to be understood. If the team on the other side can do that for you, then you should feel relieved. By combining a production team with advanced English skills and native speakers working on the script and the voiceover, you can rest assured that your video will be everything you want it to be. If I told you that you could get what the best US-based video companies are putting out for half the price, you’d tell me that I’m nuts. Well, perhaps, but not about this. As you’ve seen above, the best companies in the United States aren’t that much different than the best companies abroad, at least in technical terms. But there are price differences that make non-US companies a very competitive alternative for anyone out there looking for quality work. 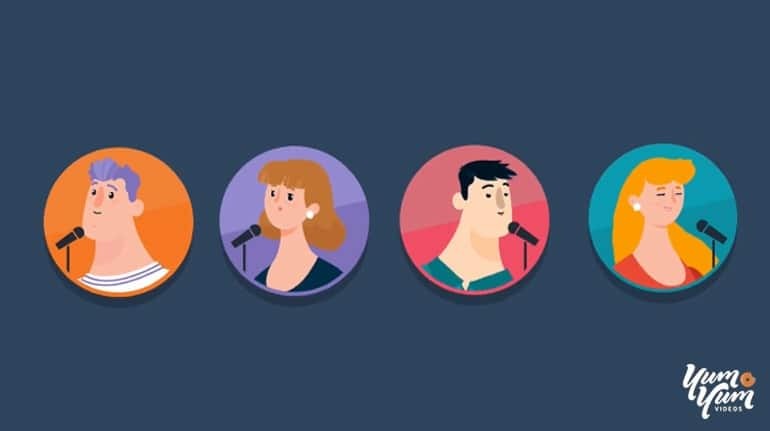 When talking about high-quality, fully customized videos, the main US companies are charging between $15,000 and $25,000 for a 90-second animated video. Sounds like a lot? It probably is, given that a company like Argentina-based Yum Yum Videos is charging between $6,000 and $8,000 for the same thing. Keep in mind that being that affordable doesn’t mean the final quality suffers. It’s just how the global video development industry works. 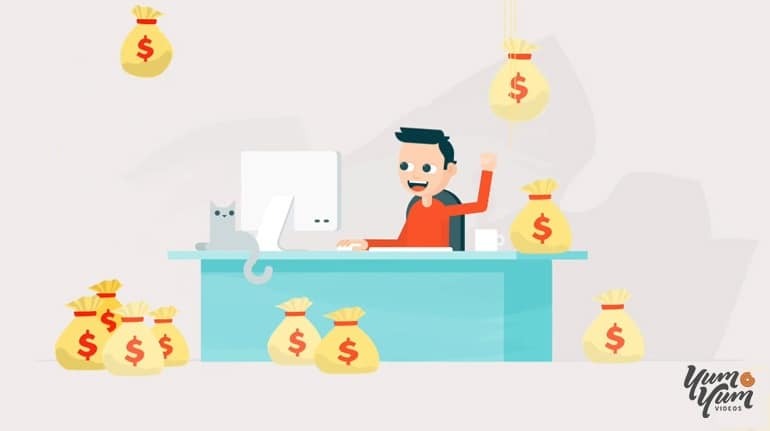 Companies in other countries can have amazing prices thanks to favorable exchange rates that keep everyone happy – the professionals, the company, you and your wallet! Wouldn’t you give a chance to a company that can cut your video budget in half? I thought so! But just before doing this, check out what that reduced budget can give you and see for yourself that quality is never sacrificed. 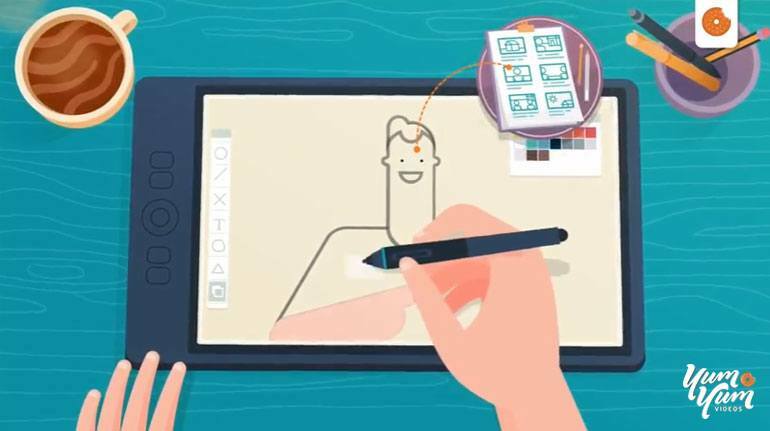 The video below was featured in Hubspot as one of the best examples of explainer videos – and it was done by us! Feeling calmer now? Go check out that company you’ve found earlier and see if all of these factors apply to them! If what they offer looks great and you feel like it can work for you, then don’t let the fact that they are based outside the US discourage you. As you saw, there’s nothing to worry about when you work with true professionals – and there’s even something amazing to gain! Still aren’t convinced? Then let us be your matchmaker! We can pair you up with some of the best professionals in the video industry and provide you with a video that will bring customers right to your front door. And we’ll do all of that at a very competitive price! Stop being scared – nothing good has ever come out of feeling that way. 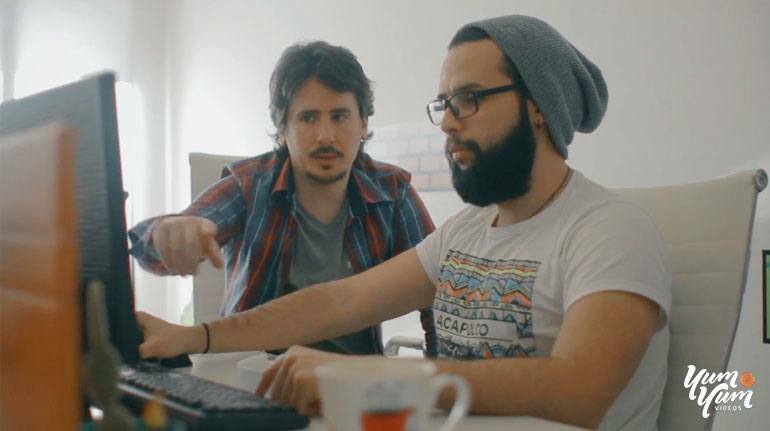 Video companies from abroad can be the ones that you were looking for all along! Want to see how this can work? Contact us and let’s talk!